Introducing Better Together – a four-font handwriting family, which was made to look great together in all possible combinations, but also work beautifully on their own.The family consists of: Better Together Script – a charismatic script, which includes some double-lettered ligatures and alternates for several letters to make your texts look more authentic. Better Together Condensed – a friendly, fun and quirky font which will give your project illustrative handmade feel. Better Together Spaced – a specially spaced small font which will give your designs a handwritten feel and a modern aesthetic look. 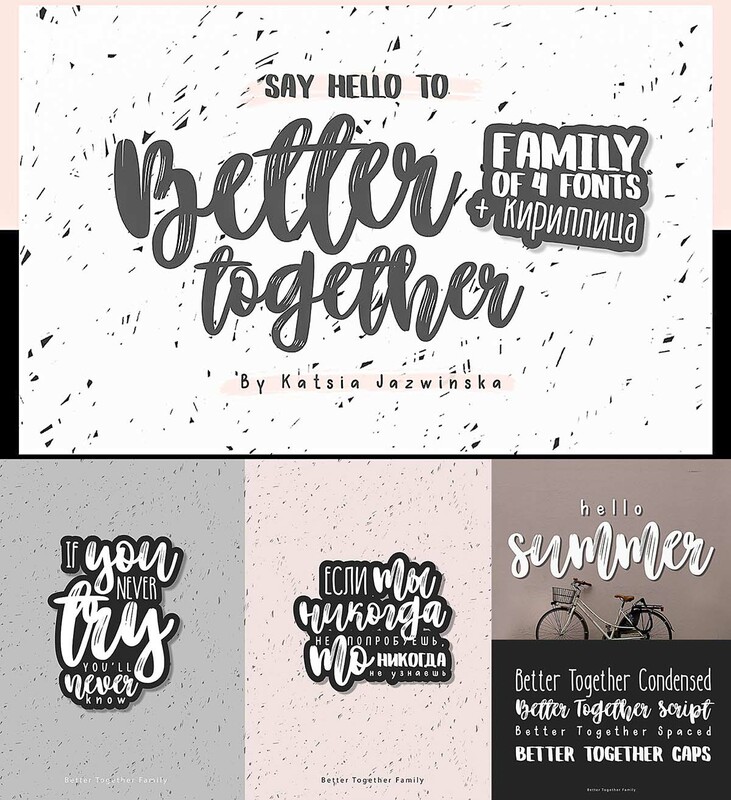 Better Together Caps – a bold Uppercase font which is indispensable in all occasions where eye-catching headline needed. Each font includes cyrillic and international characters that support most European languages. 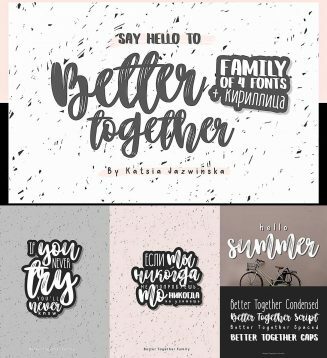 Tags: calligraphy script, cyrillic, cyrillic font, cyrillic script, hand lettering, modern calligraphy.